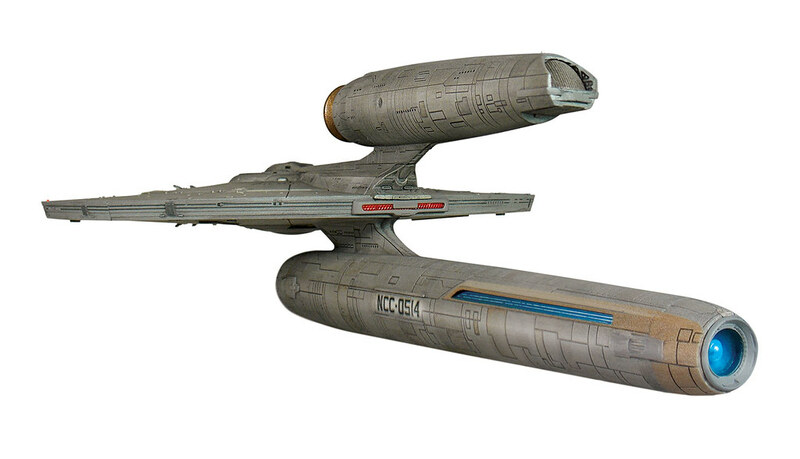 Here are the first pictures of the upcoming 1/1000 scale U.S.S. 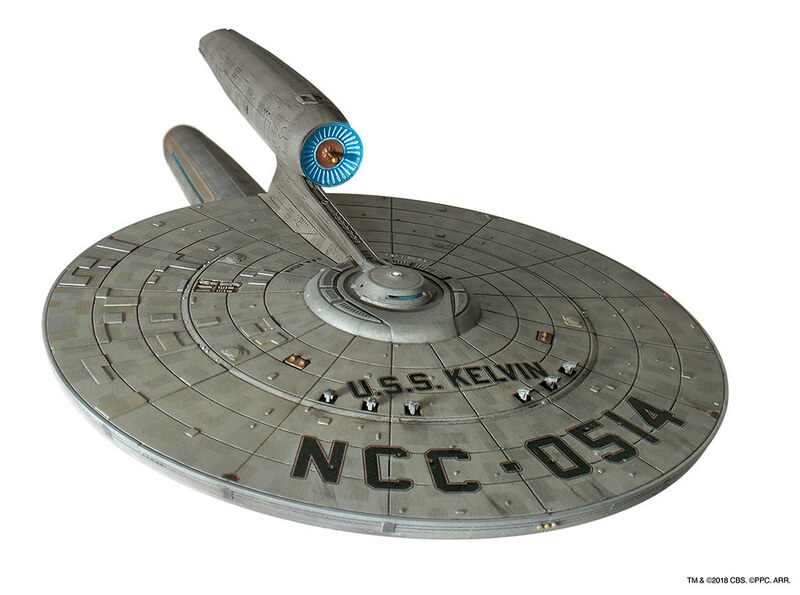 Kelvin by Moebius models. Personally, it doesn't look detailed enough to justify the $60 price tag. I thought I'd post some actual pictures. 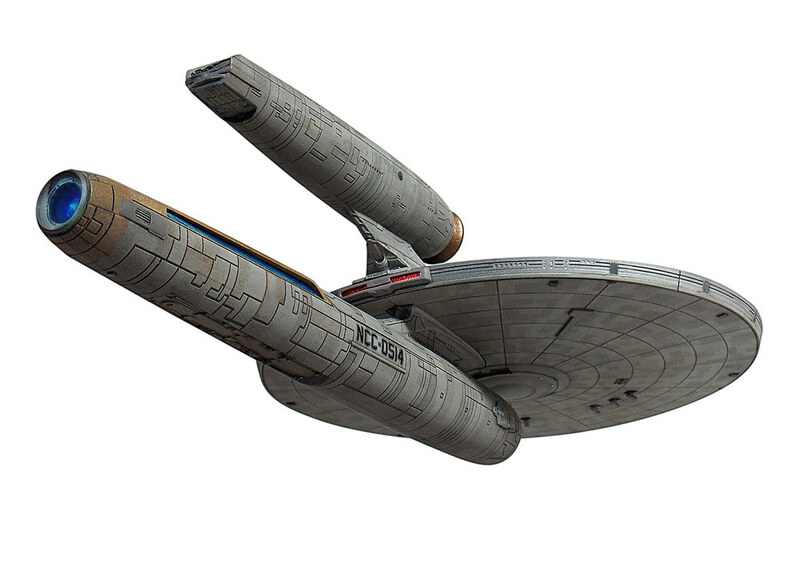 Interesting to note, the increase in panels and what appears to be a missing panel on the Starboard rear side of the top of the saucer. Nice looking kit, A but pricey at $60.00 for a 1/1000 scale ship. Kinda looks like field repairs. cool detail. Yeah, I don't think that missing panel detail was as big on the actual filming model as it is on the Moebius kit. Oh well.